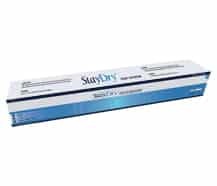 StayDry, a division and registered brand of AdvaCare Pharma, is a world-renowned incontinence products manufacturer. With firm positioning in existing markets and exceptional growth in emerging markets, StayDry is focused on forming long term relationships with dynamic distributors who have the means and desire to expand their own reach in their market. StayDry has a unique business model that facilitates a strong market entry and sustainable growth of market share for our distributors in the way of a Vested Supplier-Distributor Relationship (see more below under Our Advantage). Our point of difference lies in our flexible distribution networks as we do not demand our distributors to adhere to ordering requirements, nor do we require direct distribution networks. This allows our distributors more flexibility in distribution channels and methods while receiving significant marketing support. 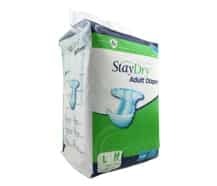 Partnership with StayDry means our distributors are backed by a wide product range of quality incontinence products and the best support team in the industry, with the goal of gaining market share in the fastest and most efficient way possible. Join our family and see the StayDry Difference and, range of benefits from a Vested Supplier-Distributor Relationship. With so many incontinence manufacturers and brands around the world, how can StayDry provide a new way of doing business and a new way of meeting distributor and consumer needs? We, at StayDry, take a multi-faceted approach to stand out from the competition. As an American owned and managed company with manufacturing based in China, we are able to leverage quality and price to provide products that meet the demands of each specific market while providing a low price point. Most other brands provide one or the other, but only a few can provide both quality and price. Unlike other brands that only provide a set product range in which specifications cannot be changed, StayDry has flexible production methods which allow us to adjust our product range to meet the unique requirements of each specific market. StayDry does have a defined, standardized product range of incontinence products, but we always do what we can to meet the requirements of our distributor markets to facilitate effective and efficient growth. StayDry has had repeated success in entering and expanding in new markets. We look to exploit our advantage of being able to provide high quality-low priced incontinence products by focusing on developing markets. StayDry has had especially high growth in some of the largest markets in the developing world, reflecting our ability to enter and expand in small and large markets alike. 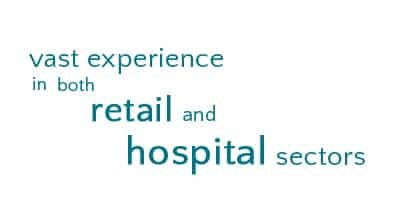 As some of our incontinence product range is distributed in the retail sector, we provide some of the strongest marketing support in the industry. The StayDry brand adds significant value to our products, which is supported by our extensive marketing support that aims to build brand awareness and convince consumers and medical professionals alike that StayDry provides dependable products. 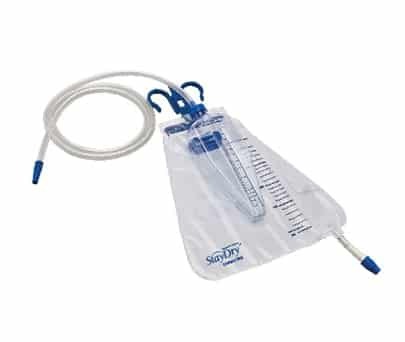 The StayDry product range includes products for both the retail and hospital supply sectors. While most of the products are distributed to both sectors, Adult Diapers, Baby Diapers, and Sanitary Pads are strong retail products. 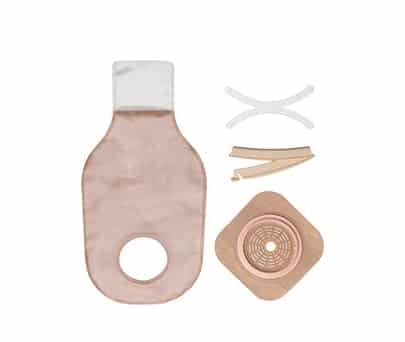 Colostomy Bags, Disposable Bed Sheets, Underpads, and Urinary Collection Bags are more common in the hospital supply sector. 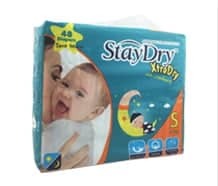 However, our StayDry Diapers and Pads are also found in hospitals and clinics, but usually more economical models such as hospitals need less effective products at a lower price point because patients require more frequent changes to ensure hygiene. Our range enables us to engage both consumers and patients alike, which facilitates brand awareness and leads to a higher rate of market share expansion. StayDry has implemented a business model which sets us apart from the competition – a Vested Supplier-Distributor Relationship. 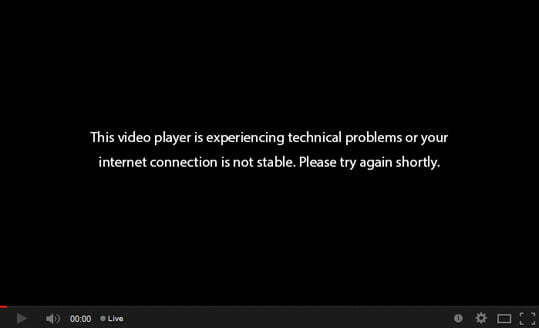 But what does this mean exactly? Most supplier-distributor relationships are based on a transaction, or command basis, during which one side tries to get the price lower and the other side tries to get the price higher. The problem with this relationship is that it results in a zero-sum game during which both sides are fighting over price, included specifications, etc. The final result is one winner and one loser, or often both sides perceive they were the loser, which in turn perpetuates a “us vs. them” mindset. We, at StayDry, look to break out of this mould by working intimately with our distributors for the mutual benefit of both parties. After starting cooperation with StayDry, you will see the difference in working with us. This is why StayDry has one of the highest distributor retention rates in the industry! Depending on the regulations of each importing country, some of our products require product registration with the relevant MOH (Ministry of Health) or government health authority. The registration process can often be time consuming and tedious, but StayDry has vast experience in registering our products in countries throughout Asia, Africa, the Middle East, South America, and Europe. StayDry provides the documentation, samples and support necessary to complete registration effectively and efficiently. We work closely with our distributors to make the process as easy as possible, as our highly structured internal procedures will ensure mistakes are avoided and information is properly compiled. All terms and conditions between StayDry and our distributor are clearly defined. Final approval is attained and the Agreement is finalized. 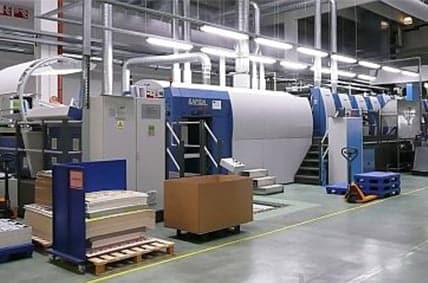 While rarely required for the registration of incontinence products with the MOH (Ministry of Health), or related health authority of the importing country, a facility inspection might be required. We welcome MOH inspectors and officials to our facility and ensure close collaboration to meet all requirements. All necessary documents are prepared and checked to proceed with the registration process. StayDry products are packaged in high quality materials designed according to extensive market research. We will make design alterations on the packaging to meet the requirements of the importing country. The testing of samples is required from some countries. StayDry samples are prepared according to the requirements of the importing country and are tested to ensure compliance. Required documentation, samples, and other materials are submitted for registration approval to the importing country’s MOH or relevant health authority. Following the completion of registration, our Marketing Department collaborates with new distributors to support and promote our products. Exceptional marketing support is essential in assisting our distributors gain and retain market share quickly. We believe that marketing serves as the backbone for a sustainable growth strategy. Our highly experienced marketing department has consistently refined marketing concepts, as we seek to understand the marketing needs of each individual distributor. No one company is exactly like the other… we understand this and alter our marketing support to meet the needs of each market. Stand out and be noticed with long lasting, measurable results. Promotional Products are the only medium that touches all 5 senses. 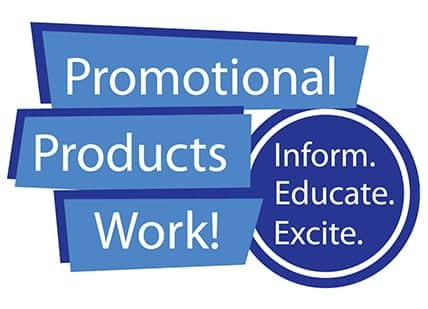 We supply distributors with all, or any of the following promotional materials to help boost reach. Custom printed pamphlets feature StayDry products and serve to provide potential sub-distributors, wholesalers, retails, and consumers with informative product specifications, pictures, and advantages of the StayDry brand, in public view of their consumers. Custom printed posters including wall-hangings, stand-ups, and banners help to visually promote brand awareness and are useful for sub-distributors, wholesalers and retailers to display in public view of their consumers. Add a very human aspect to marketing aspirations with our custom tailored and printed shirts. Having wearable promotional materials for customers, employees, and even consumers help to constantly remind wearers and viewers that the StayDry brand is established and dependable. What promotion is complete without basic merchandise for everyday use? Equip your sales and marketing teams with stylish brand paraphernalia and distribute to customers and consumers to increase brand awareness. We can provide promotional products such as bandages, hand soaps and gels, etc to distribute free of charge, to promote the brand and present the wide and expanded range of StayDry products. Our Vested Supplier-Distributor Relationship Model facilitates rapid market penetration and market share growth. 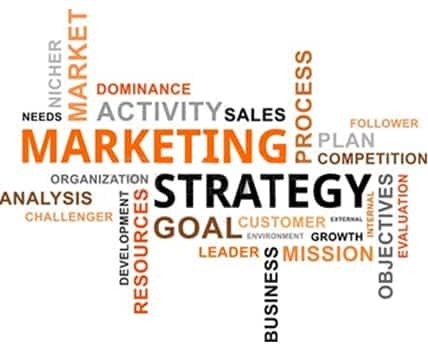 Assistance is provided by StayDry’s Marketing Department to provide strategic planning to enable rapid market penetration. Distributors are most familiar with their individual markets, but our experience in brand awareness and entering numerous markets is a useful tool in the sale of the StayDry range of products. After creating sustainable demand for our product we aim to achieve a 20% gain in market share for any new market. In order to achieve this we require a close and mutually beneficial partnership with our distributors. While quality and price are important factors in a successful distribution plan, product presentation is equally important. StayDry product packaging design and materials are created based on years of extensive market research and implementation. Through blind trials and random surveys of members of most major demographical groups, we have discovered that consumers prefer our packaging style to that of competitors over 70% of the time. Reflects a safe and dependable product that conveys quality and comfort. Appeals to the target consumer with design and quality that reflect US standards. Differentiates our brand from other cheap, less reliable products. Our packaging features high quality plastics and for large and small products alike. 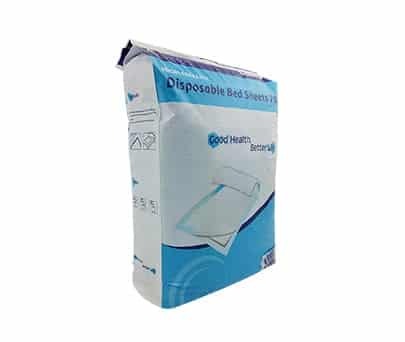 All packages are extremely durable yet also very easy to dispose of. Currently we are experiencing with a brand new biodegradable faux plastic to bring you the very best and the most eco-friendly packaging possible. How is being a distributor of StayDry any different? A: Unlike other major international incontinence manufacturers, we provide distributors with a competent, gifted team of sales and marketing specialists whose sole purpose is to assist in furthering distributors’ success and growth. We understand that distributors don’t want to worry about problems such as quality, inaccurate documentation or other unnecessary headaches. 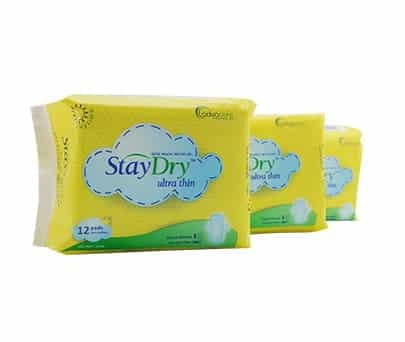 With StayDry Incontinence Products, distributors will be able to stay focused on growing market share and expanding the distribution network, while we take care of everything else. Do I have to have experience importing or distributing incontinence? A: No, previous experience with the distribution of incontinence products or other related products is not a prerequisite of being a StayDry distributor. However, previous distribution experience and/or an existing distribution will be helpful in the beginning of your distributorship. I’m a distributor in a country with very rigorous health standards. Will StayDry be a good product for me to distribute? 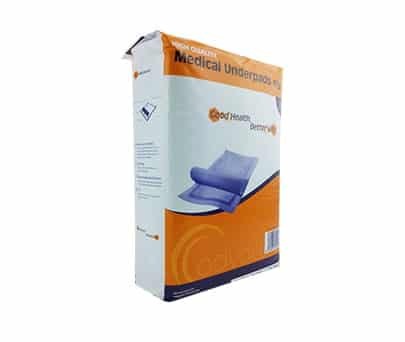 A: As a dedicated manufacturer of StayDry incontinence products, our products possess CE, ISO and USFDA certifications. StayDry provides the absolute most for value coupled with quality. Our incontinence products are extremely safe, durable and are also produced in an environmentally friendly way so that distributors from anywhere in the world will be able to easily distribute StayDry Incontinence Products wherever they choose. What distribution channels are most suitable for StayDry incontinence products?